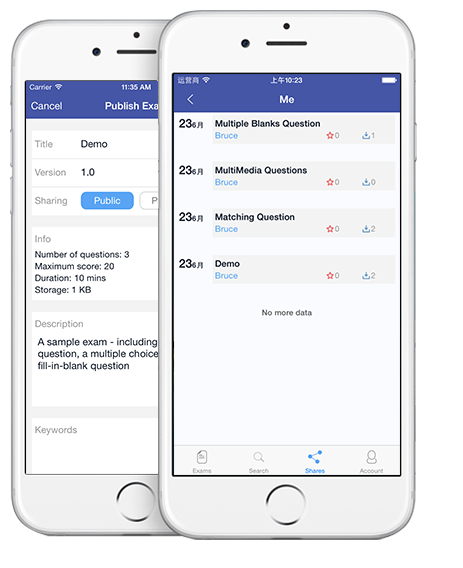 Create, publish and share your exams easily! 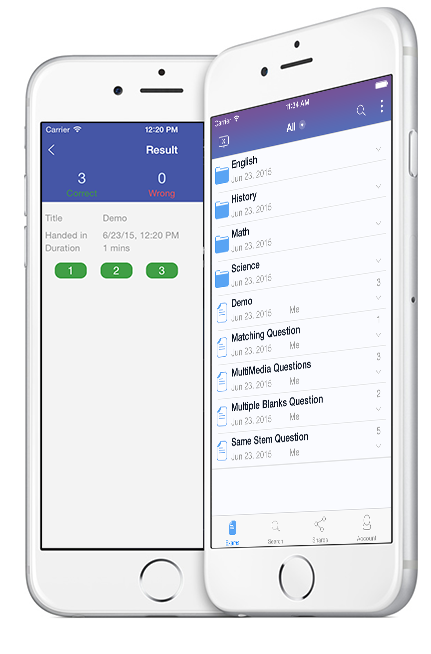 MTestM is used by educators, trainers, non-profits, businesses and other professionals who need an easy way to quickly make exams, tests, and quizzes online. You can create and publish your first exam in a few minutes! Create different types of questions in an Excel spreadsheet. Use Excel, OpenOffice or any other Excel-compatible application to edit your test paper. 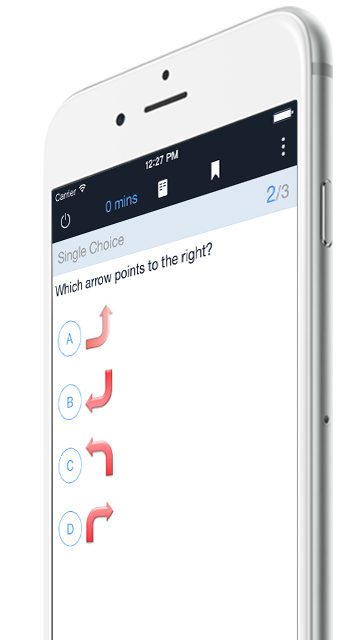 MTestM allows you to create single choice, multiple choice, fill in the blank and matching questions. 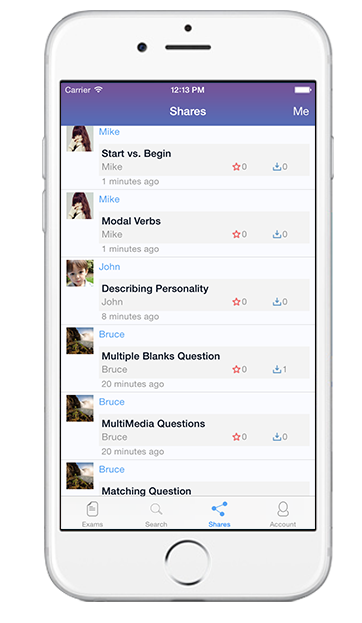 MTestM supports case sensitive answers and questions having more than one correct answer. After you have created an exam, you can publish it. You can mark your exam as private if you do not want to share it with others, otherwise your exam can be seen by others. Anyone can share public exams with others. Only you can share your own private exams with others. Others cannot share your private exams. Organizing exams is very important. You can organize exams into folders and subfolders. 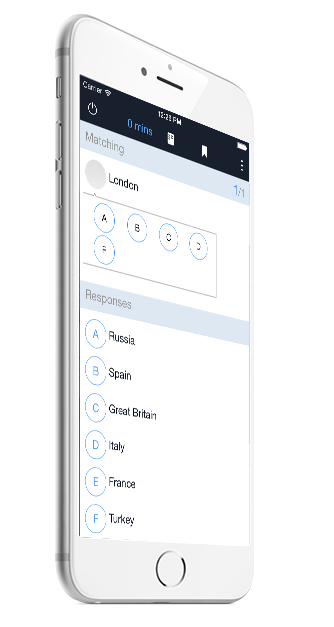 MTestM allows you to take your exam anytime, anywhere at your convenience. You do not need to be connected to the internet while you are taking the exam. Excel is a great program for creating questions. Exams can be created offline using Excel. By taking a tour, it’s easy to understand the MTestM format and add your own questions in the spreadsheet. MTestM allows you to use Excel to write multiple-choice, fill-in-the-blank and matching questions in a simple format that can be imported. When creating a large number of questions, MTestM can provide a quick way of bulk importing questions. You can also create questions that are based on the same material or based on the same stem. You can also specify HTML, MathML, image, audio and video format for the question. After you have created an exam, you can publish it. You can mark your exams as private if you do not want others to see your exams, otherwise your exam can be seen by others. In order to create high quality exams, we recommend you to update your exams regularly. MTestM allows you to update your published exams. If an exam is not the current version, it will be kept for 30 days on the server. If you are a teacher, sharing exams is an alternative way to assign homework to your students. If you are a student, share your study quiz with your classmates and test each other as much as possible in order to discover even more details and areas you may have overlooked. 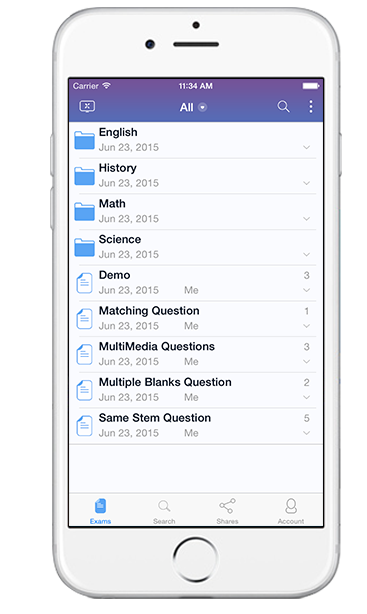 Exams are saved locally on your phone, so you can search exams quickly using keywords. You can also find the exams and questions you recently took. After the exam is scored, you can review the grade report and see which questions you got wrong. You can re-test yourself on the questions you’ve missed and you can re-test yourself on your favorite questions.